In Leader APO’s philosophy, subjugation and imprisonment have a different meaning to others. Throughout the history of all movements, according to Leader APO, prison was always a place where people’s determination and resilience could be seen to grow and where faith and heartfelt conviction is clearer than the shining moon. There is no doubt that in Kurdistan, manifestations of resistance and perseverance are in abundance. Kurds have had many leaders, Abdullah Öcalan (Leader APO) is one of the greatest leader. He has conveyed the absolute determination and resilience that he observed during 18 years captivity in prison, in his page by page depiction of Kurdistan’s history. This history did not include only Kurdistan, but provided an account of the region and the rest of the world. The conspiracy (between allies Turkey, US and Israel) of 15th February 1999 caused astonishment and left society fraught. Many believed this to be the century in which the evil mask of the allies was lifted, to reveal its real face. The allied conspiracy was not only against one individual, rather against freedom across the world; an attempt to hush the flames of free society. The flames to which the Leader APO was their guiding torch and to which the international forces in cooperation with the regional regimes wanted to prevent. Not only was it unsuccessful in hushing the rebels, but the values they fought for were made more gleamingly clear than ever before and nowadays this is used as a symbol of great victory, over the allied forces and regime. February 15 has become a nationwide day of striking, in support for Leader APO and those people who demonstrated and fought for their identity, ultimately achieving their goal. Kurdish people has fought fearlessly and peacefully to rediscover their own identity through the philosophy and thoughts of the Leader APO, using his visions of liberty and democracy in attempts to stand up against the deviants, who sought to oppress the human condition. Leader APO is a creator of the new liberty and democracy to revive Kurdish identity, fortitude and bravery. He has also promoted the world’s liberty and democracy. The responses to that conspiracy from free and democratic people demonstrate a fierce refusal to ever be silenced and never to be erased or removed from history. 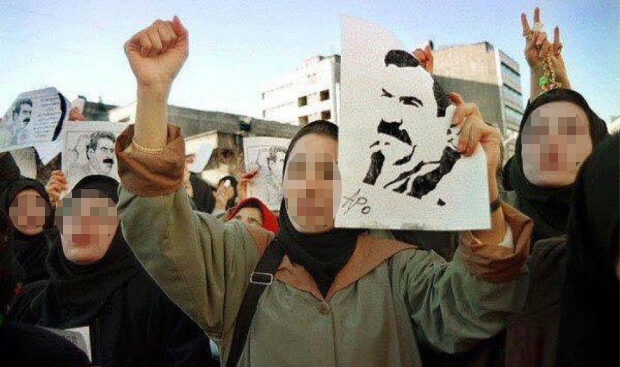 The Committee of Political Prisoners of PJAK (Free Life Party of Kurdistan) while condemning the conspiracy on 15 February 1999, requests all members of free and democratic society in Kurdistan and Iran to support and trust Leader APO to remove this evil conspiracy forever from history. By standing up and showing a force of resistance, strongholds could be destroyed. We also request all members of civil society and all political prisoners to stand up and spread the word of Leader APO’s philosophy against anyone challenging the principals of liberty and democracy, and to show other nations the reality of the people who fight for freedom and to keep the gates of submission closed forever.